It’s fair to say that Jean really loves and knows the Bible. As a former editor and associate publisher for Zondervan Bibles, she helped produce many bestselling study Bibles geared specifically for women. 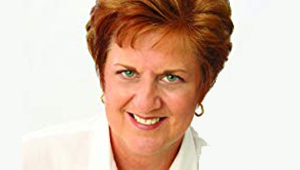 Among her deep joys in life are her trips to Kenya to provide shoes for village children, her own eight adored grandchildren, and gardening and crafting for the old country home where she and her husband John reside in Allendale, Michigan. Focus on 52 female heroes in Scripture, and you’ll discover yourself in the process. 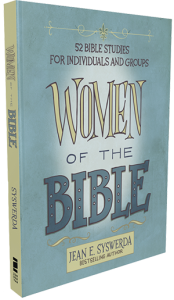 Women of the Bible is designed especially for those who want to delve more deeply, either alone or in a group, into the lives of women like Ruth, Anna, Esther, Leah, Rachel, Mary, Elizabeth, and other women who encountered the living God.